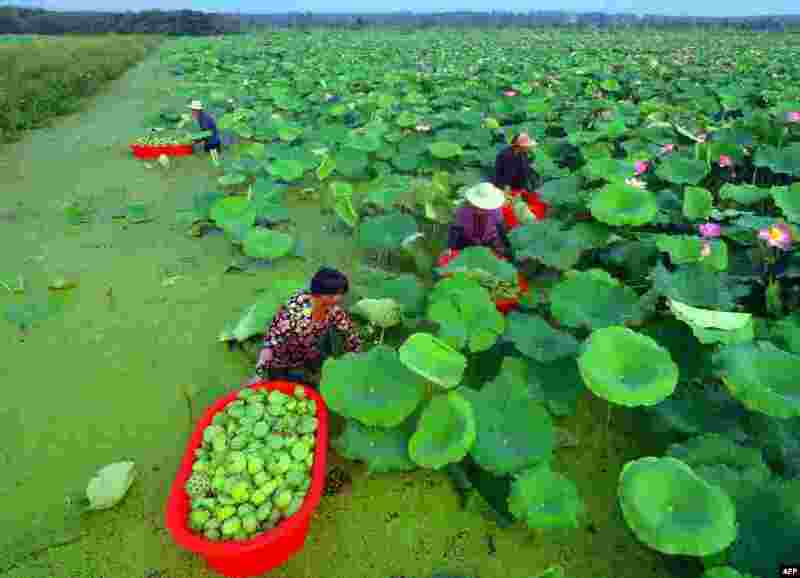 ١ People harvesting seed pods of lotus flowers from a pond in Tancheng in China's eastern Shandong province, China, Aug. 1, 2018. 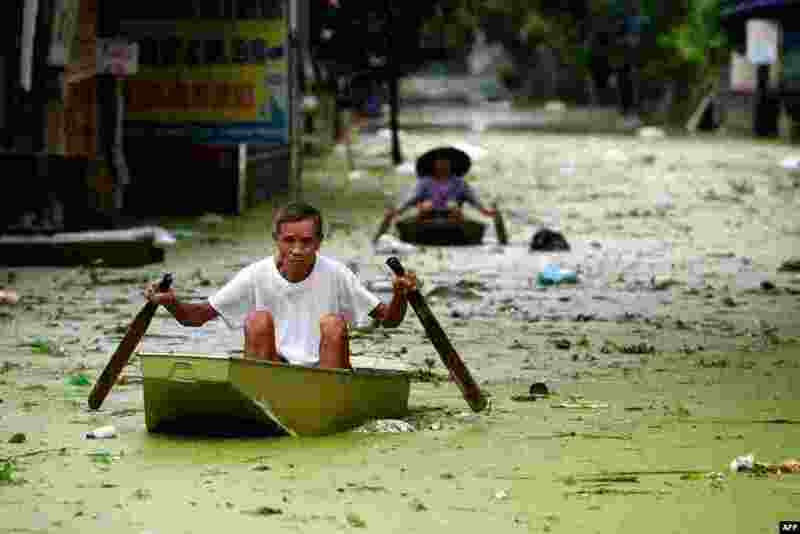 ٢ People row in boats through floodwaters in Hanoi's suburban Chuong My district, Vietnam. 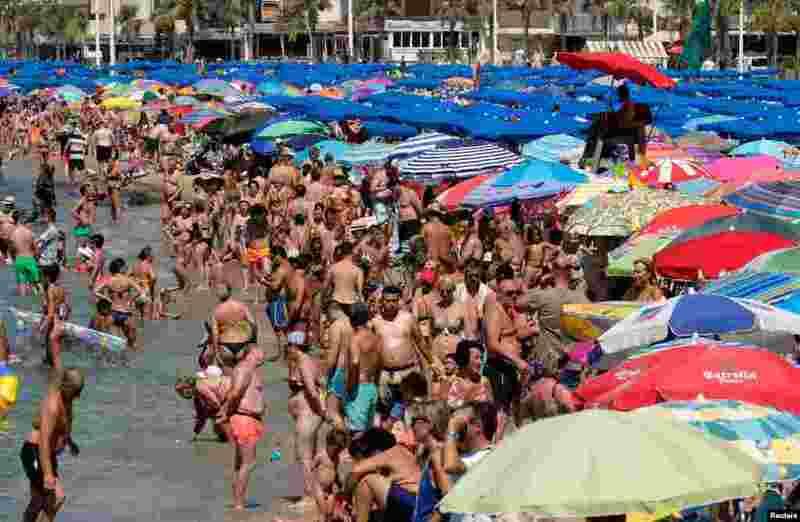 ٣ People cool off at the beach during the heatwave in the southeastern coastal town of Benidorm, Spain. 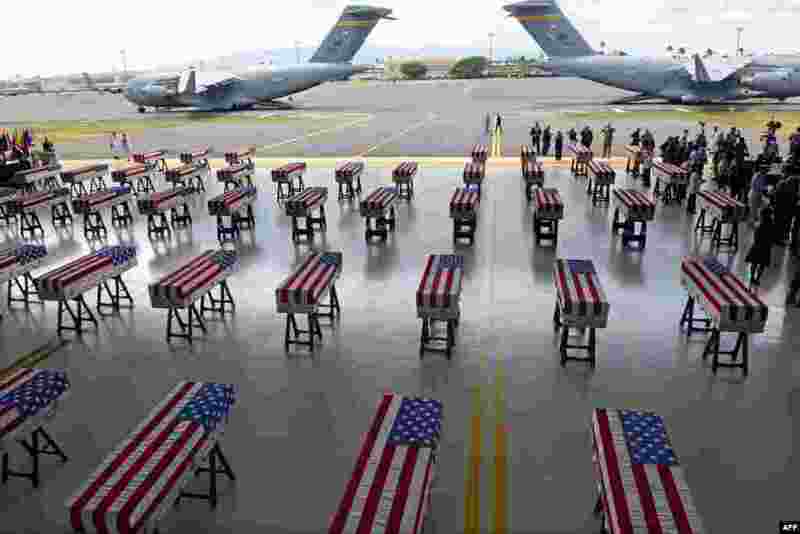 ٤ Flag draped transfer cases with the remains of American soldiers repatriated from North Korea are seen during a repatriation ceremony after arriving to Joint Base Pearl Harbor-Hickam, Honolulu, Hawaii, Aug. 1, 2018. Sixty-five years after the Korean War ended, the remains of dozens of American soldiers killed during the brutal conflict are finally coming home.